Product information "Vision Indoor Siren (Battery-Operated)"
The Vision indoor siren is an acoustic and optic alarm siren for Z-Wave systems. In case of an alarm, the siren gives a loud sound (105 dB) and a flashing warning light (LED). The device can be configured to either use only the strobe flash or only the acoustic siren or both. 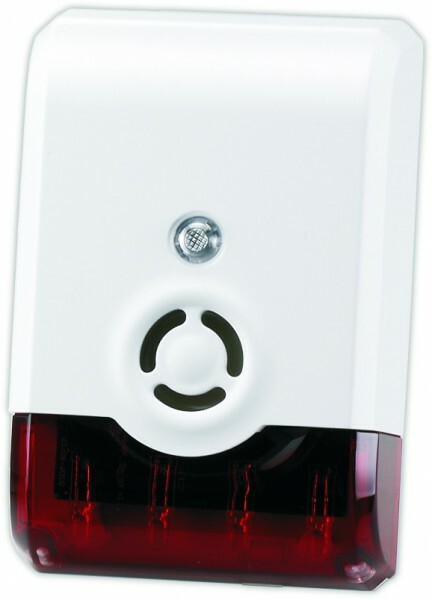 The siren informs in real-time about burglary, fire or any other triggered alarm. The device is battery-operated and is suitable for an easy installation without laying any cable. The device has holder for wall mounting. If the siren will be removed from the wall mount, an alarm signal will be triggered immediately. Related links to "Vision Indoor Siren (Battery-Operated)"